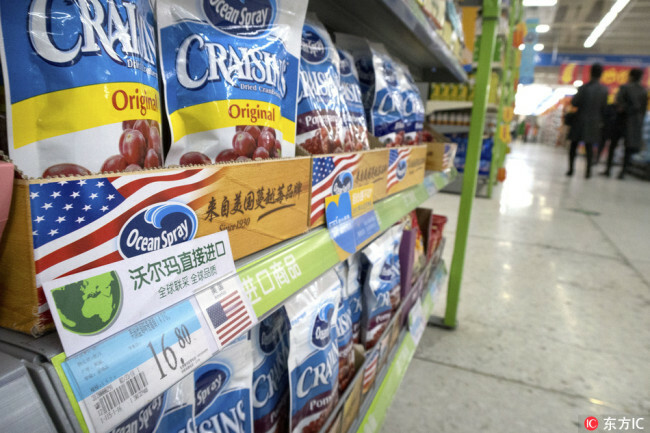 China on Monday is slapping tariffs on U.S. shipments to the country, such as meat and fruit. The Chinese had previously indicated they would unveil reciprocal tariffs after Trump announced that steel imports will be taxed at 25 percent and aluminum imports at 10 percent. Several countries have since negotiated temporary exemptions from the steel and aluminum tariffs. In addition, Trump announced late last month his administration plans to target China in particular with tens of billions of dollars in tariffs and penalties on imports to try to curb its efforts to steal intellectual property from U.S. companies.